Over the 2015 Labor Day DUI crackdown in Colorado, law enforcement officers reportedly made 939 DUI arrests, according to preliminary data reported by officials at the Colorado Department of Transportation (CDOT). The bulk of these arrests were made by the officers with the Colorado State Patrol (CSP), and nearly half of the DUI arrests made over this enforcement period occurred in Denver, Aurora or Colorado Springs. While the recent Labor Day DUI crackdown resulted in 939 DUI arrests in CO, cops are still cracking down on impaired drivers, a Denver & Boulder DUI attorney explains. While these numbers may be shocking, they represent a slight drop from the number of DUI arrests made over Labor Day last year (when just over 1,100 motorists were arrested for allegedly driving drunk or impaired). Despite the end of the Labor Day DUI crackdown, however, officers are continuing to focus on nabbing suspected drunk drivers, as they kicked off their fall The Heat Is On DUI campaign last Friday. Even one alcohol or drug impaired driver is one too many and serves as a reminder of the importance of education and enforcement… CDOT’s The Heat Is On campaign helps keep Coloradans safe from those that act irresponsibly and put others at risk. With the arrival of fall, we tend to see an increase in impaired driving due to alcohol-related events like Oktoberfest and football season, among other factors…We realize people want to have a good time, and that is fine, but drinkers must be responsible and never get behind the wheel impaired. CDOT’s fall DUI enforcement campaign will reportedly run through Monday, October 26th. Plan ahead if you know you will be out somewhere drinking alcohol – In other words, figure out your ride or plans before you start drinking so that you are not tempted to get behind the wheel and risk a DUI arrest when the party is over. Know what to do if you are ever stopped for a DUI – Being aware of your rights and how to protect them in DUI stops can make the difference in whether you are arrested and, if so, your defense options thereafter. Don’t admit to having consumed alcohol. Don’t submit to field sobriety tests if you are not sure that you will “pass” them. Don’t resist arrest if a traffic officer decides to detain you. Don’t forget to contact our Denver & Boulder DUI attorney ASAP in order to get your defense case started immediately. 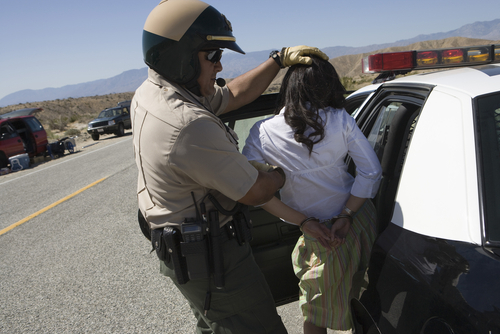 Have you been charged with a misdemeanor or felony DUI in Colorado? If so, you can turn to the Denver & Boulder DUI attorney at Griffin Law Firm for experienced help and the strongest possible defense.